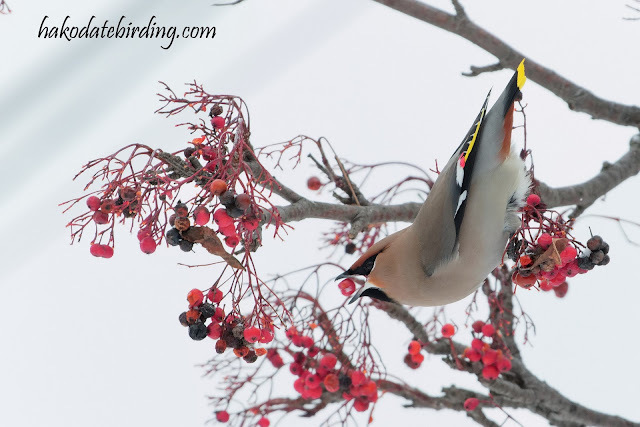 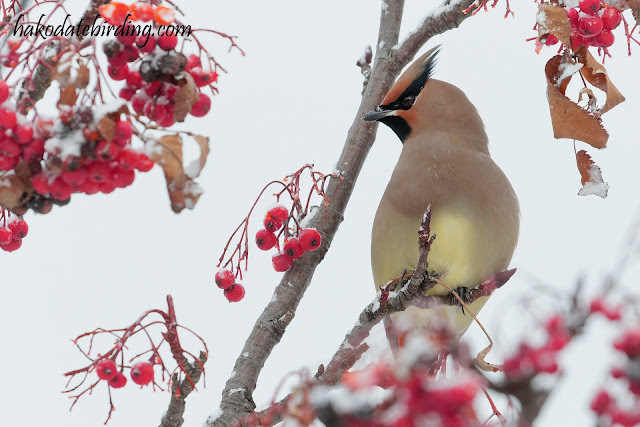 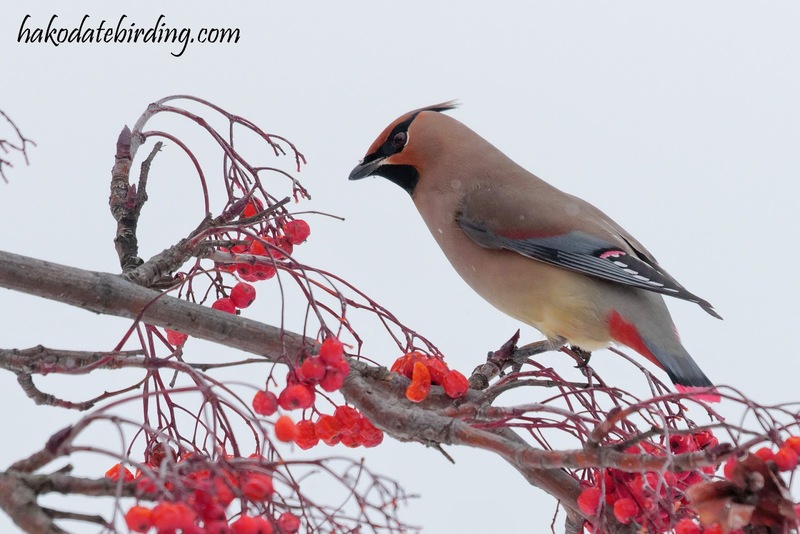 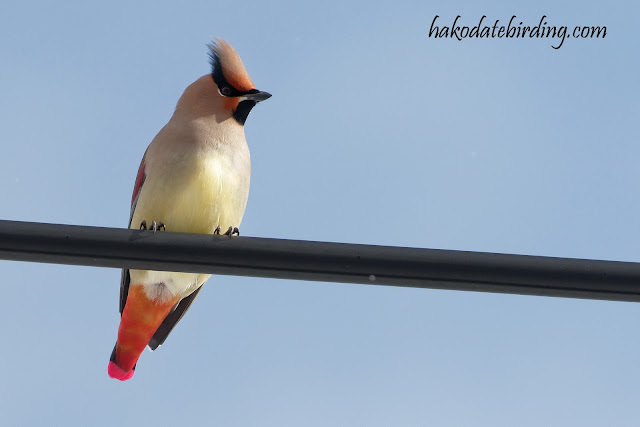 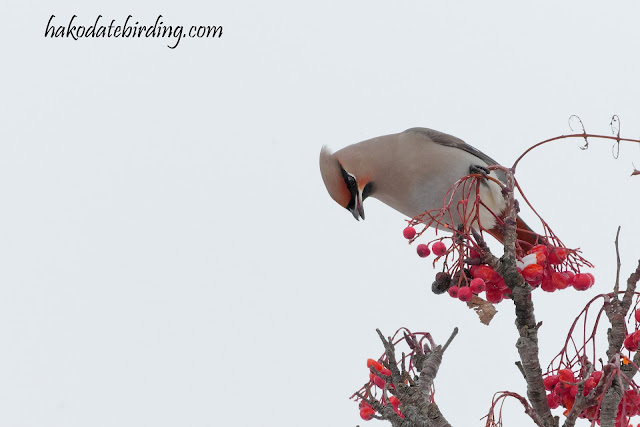 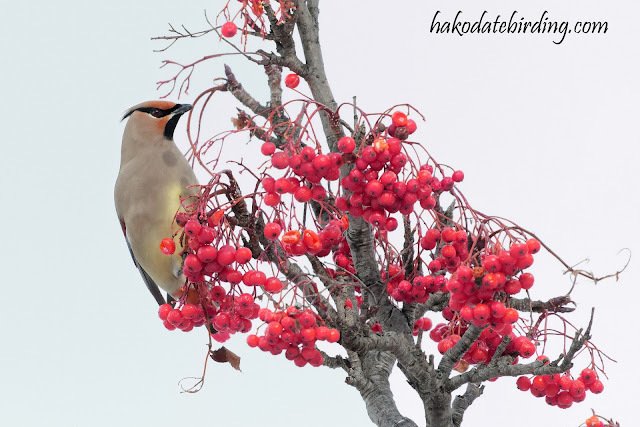 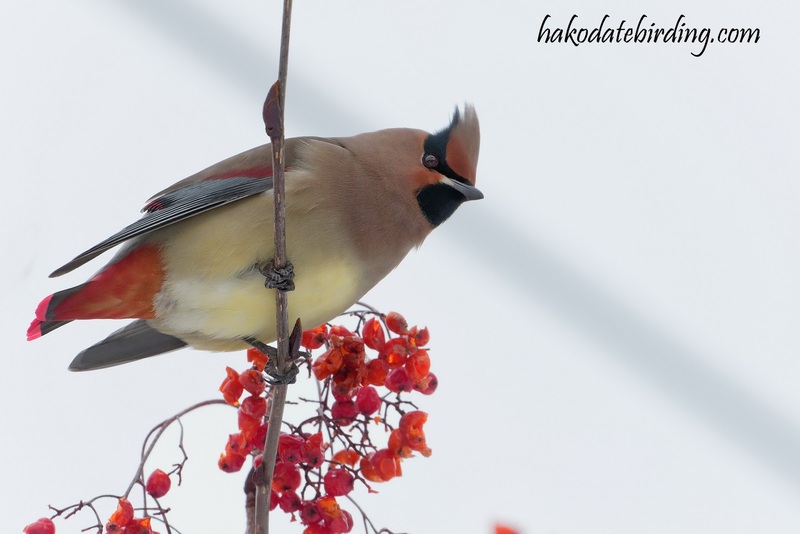 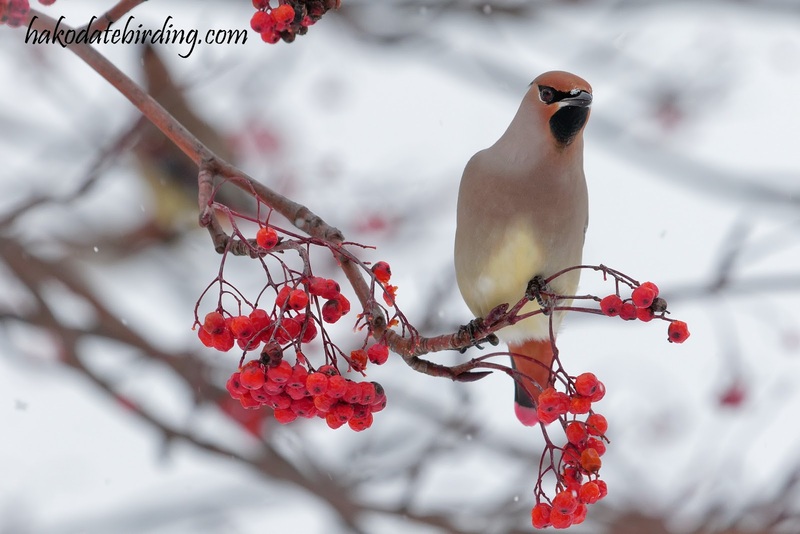 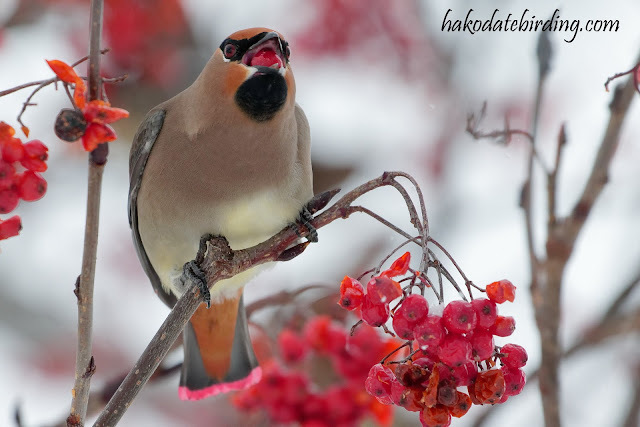 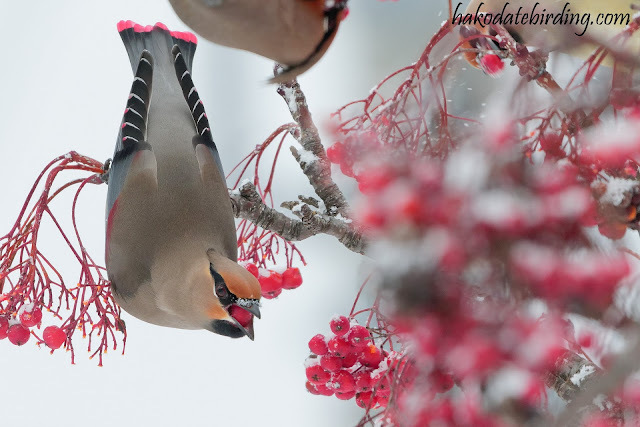 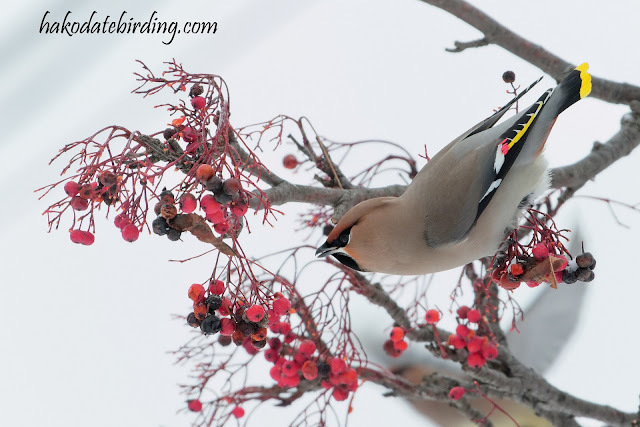 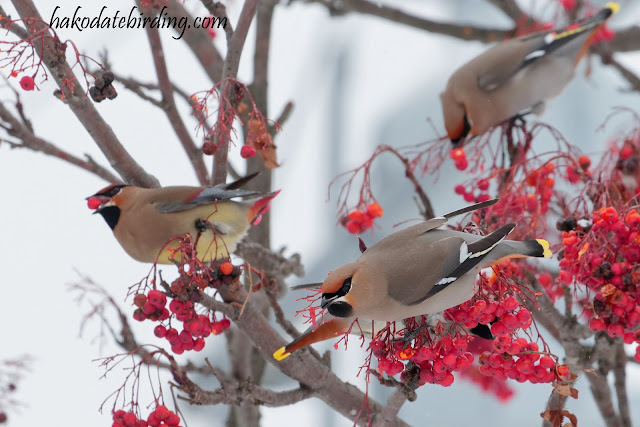 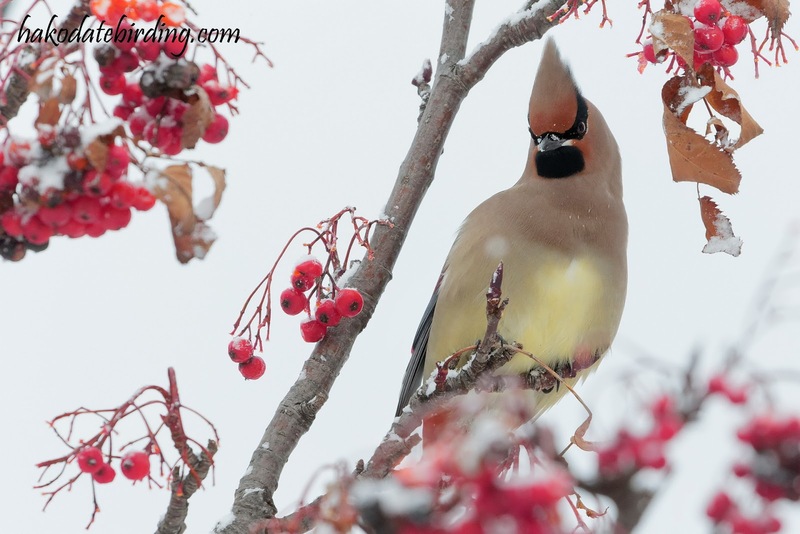 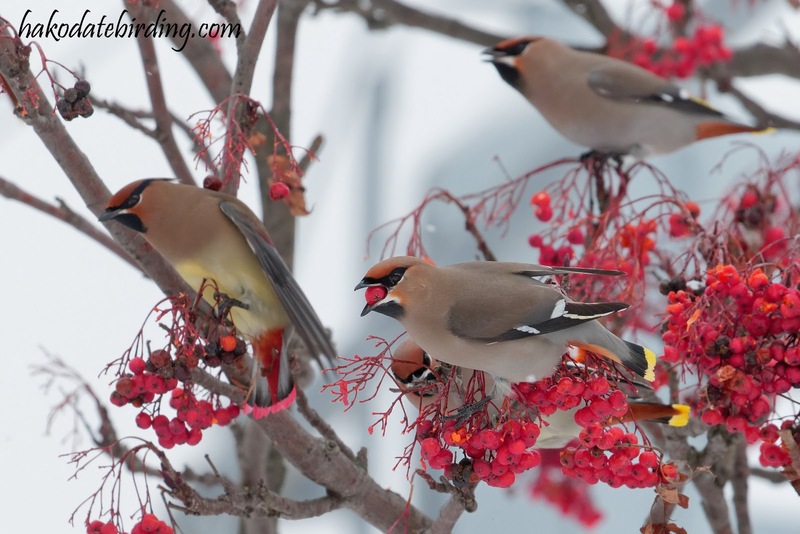 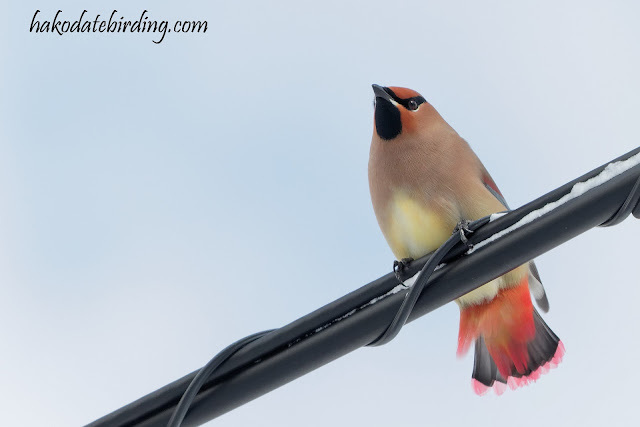 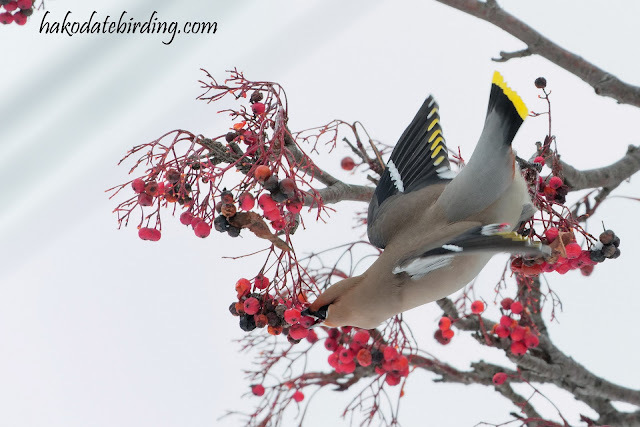 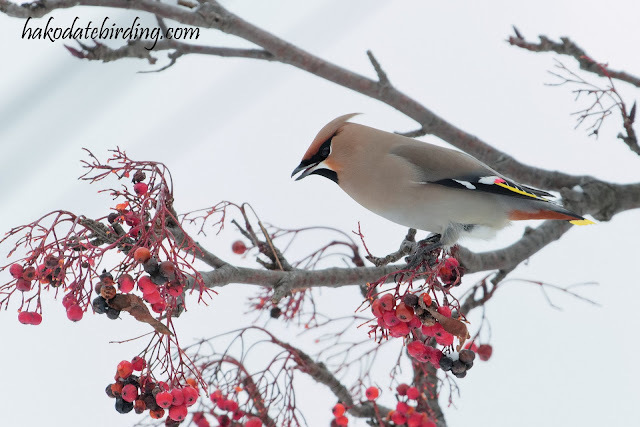 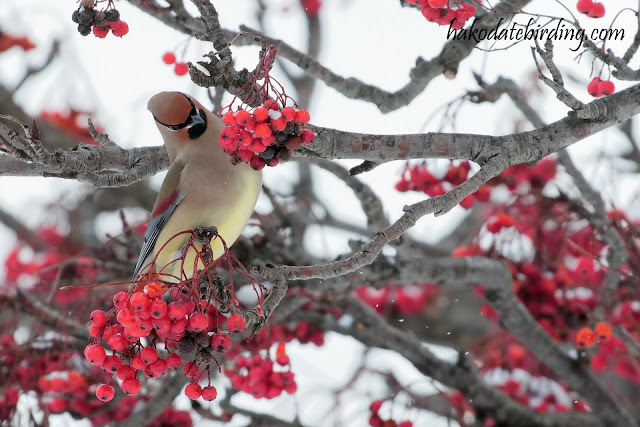 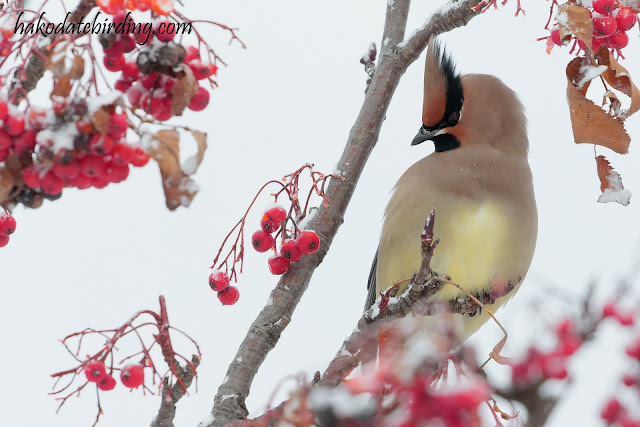 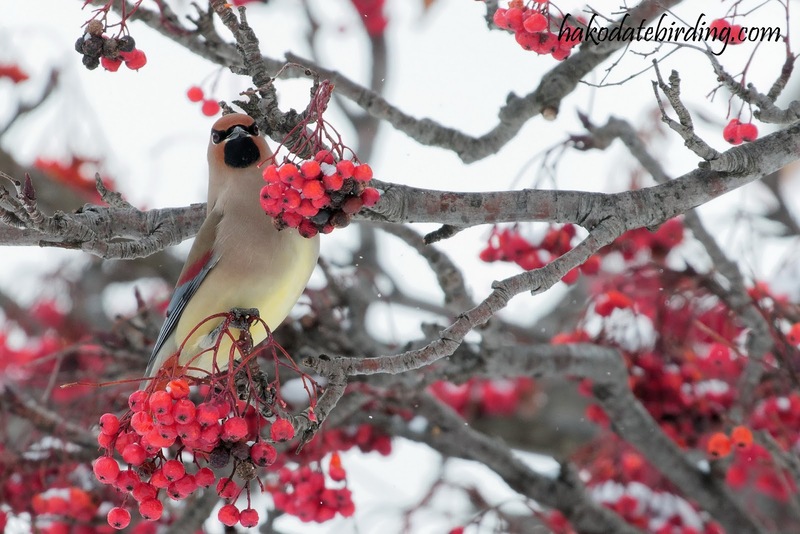 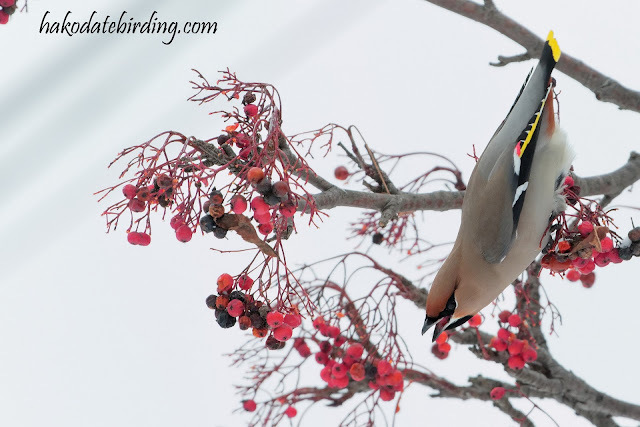 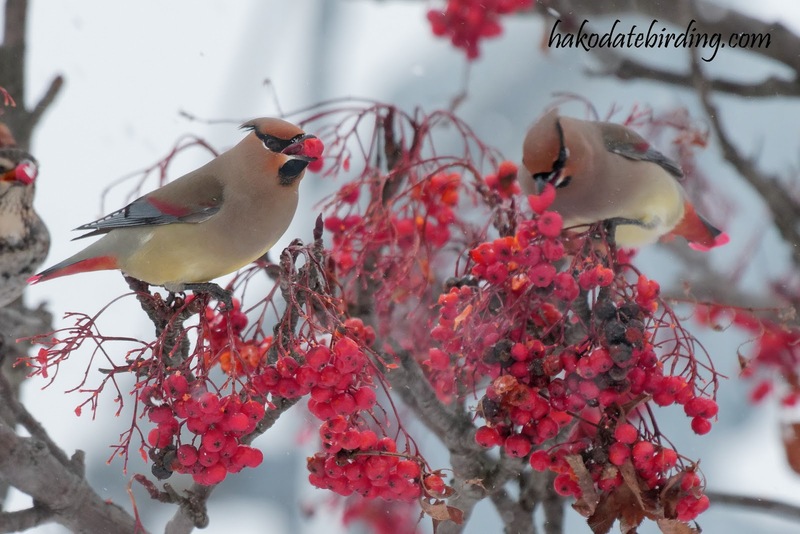 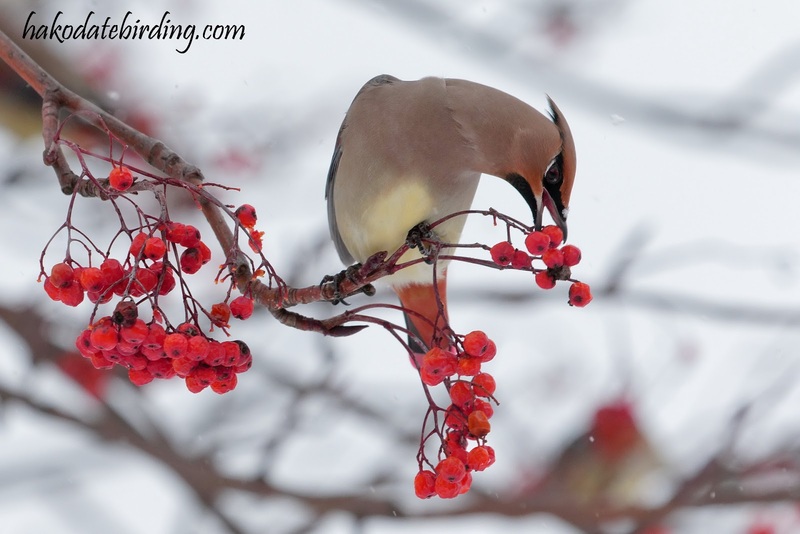 The top one is a Japanese Waxwing and the one below is a Bohemian Waxwing. 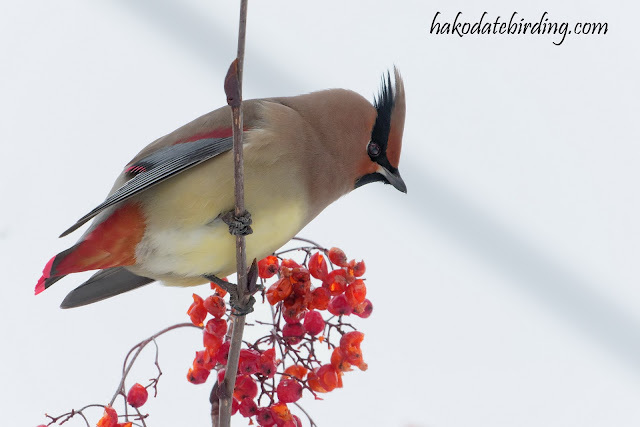 They were about a 100 or so: mainly Japanese but there were a few Bohemians mixed in. 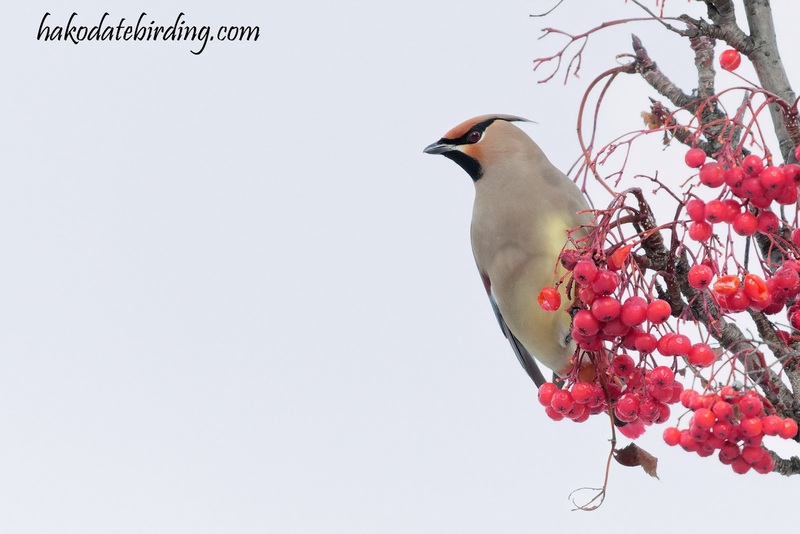 A waxwing bonanza indeed. 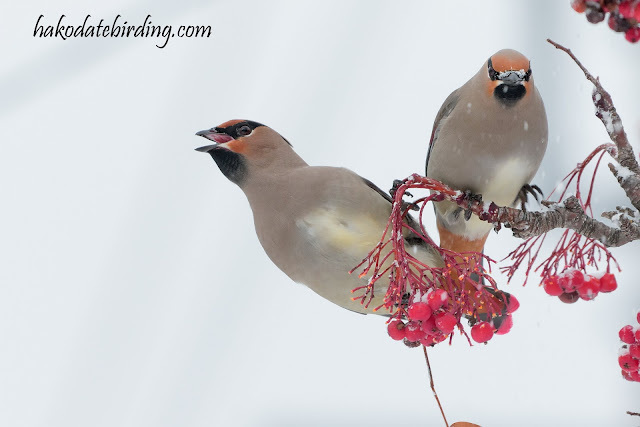 It was raining here yesterday morning but the temperature dropped precipitously and all my bird feeders froze over! 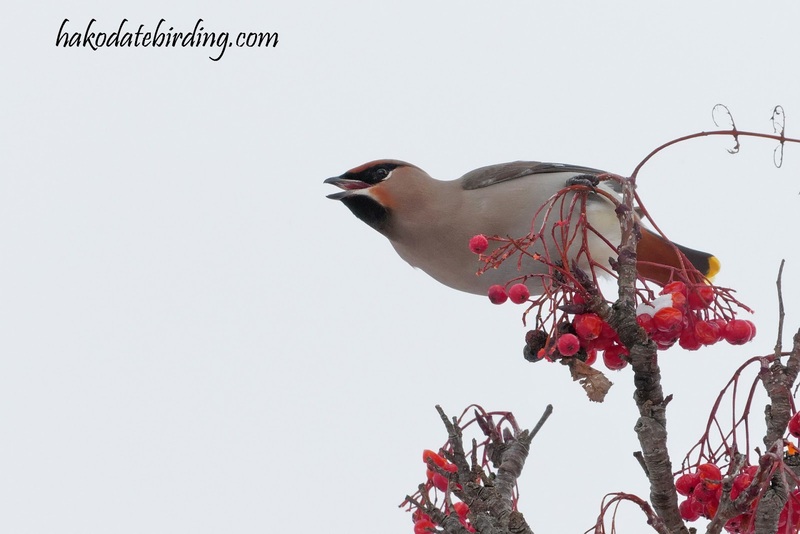 Cracking set of pics - worth persevering in the cold for!